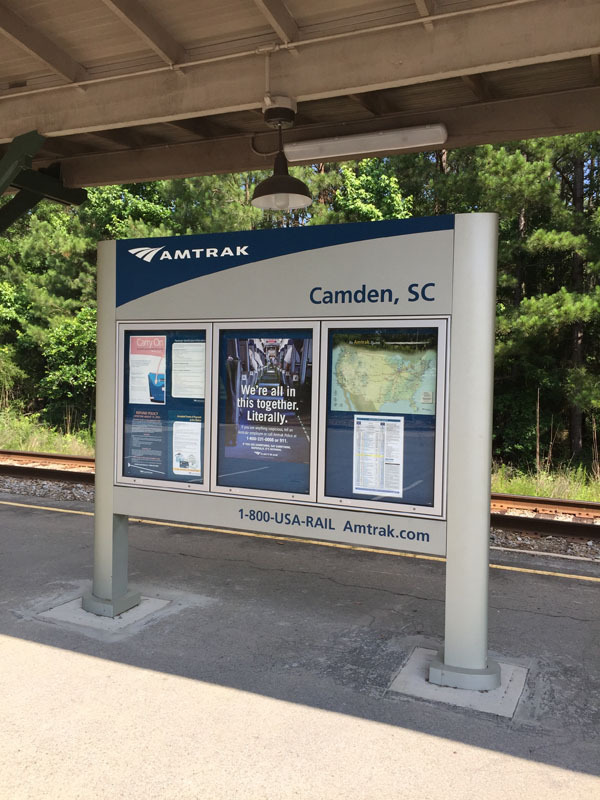 We are the authorized sign vendor for Amtrak Signage at Historical Registered Stations. We know all of the product details and production requirements to bring each station up to ADA compliance. We have been awarded the Bid Packages for numerous historical Amtrak stations. Our team of artists and fabricators are perfect for the complexity of these locations. The architects have designed the Amtrak locations to modernize the historical building, brining each to ADA compliance. 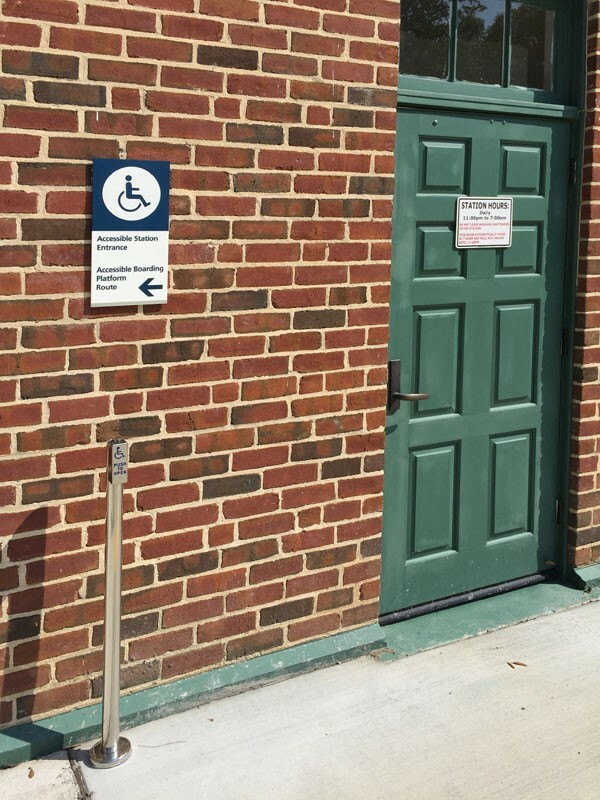 These Amtrak Stations now have a separate building for a wheelchair lift, directional signage in braille, automatic doors on push-button switches, and both track and field-side station identity markers to let travelers know which station they are arriving. These projects are extremely complicated, using 6063 aluminum (high strength) with Matthews metallic enamels and clear coats. We have materials and machine setups in place to produce all of the Amtrak Signage, which we ship nationally, ready to install. We include all of the specified mounting hardware down to the masonry drill bit for easy one-day installation that’s right on time, and right every time. 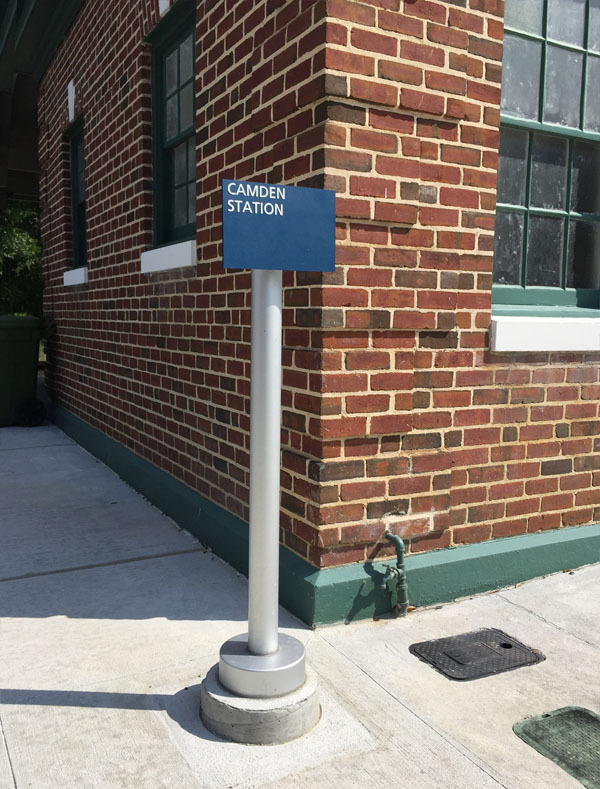 Some Amtrak Stations require specialty items, such as these bollards. 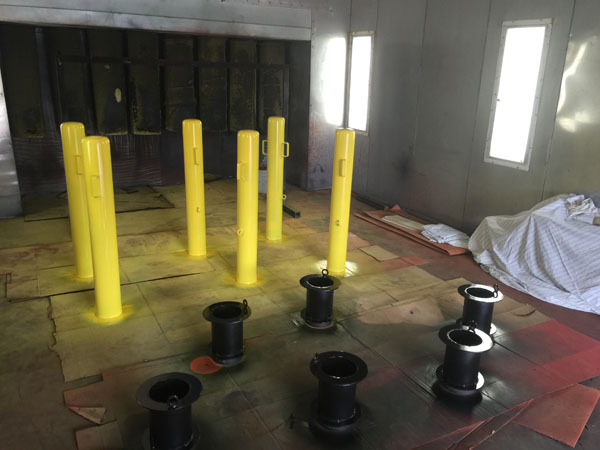 We designed these to fit down into a receiver piece that is installed recessed in concrete. We welded handles for lifting, and welded eye-hooks for the ability to lock the bollards in place. 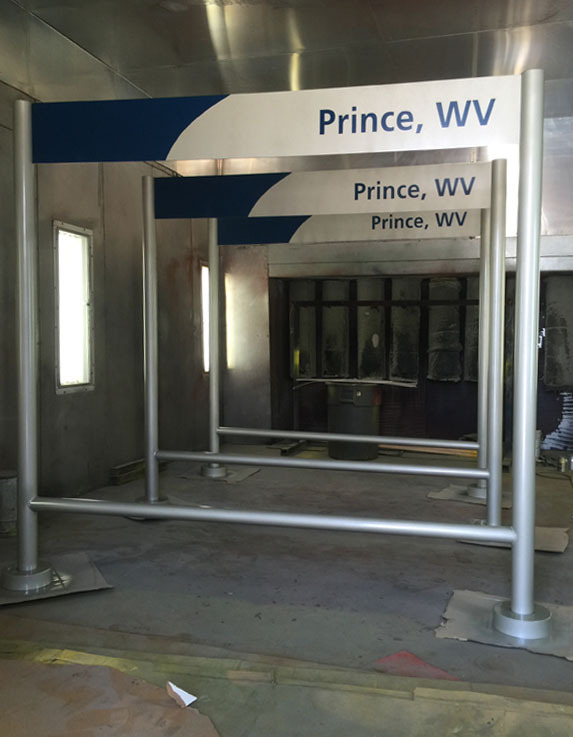 Here are pictures of Amtrak Prince, WV Station in our paint booth before shipping. 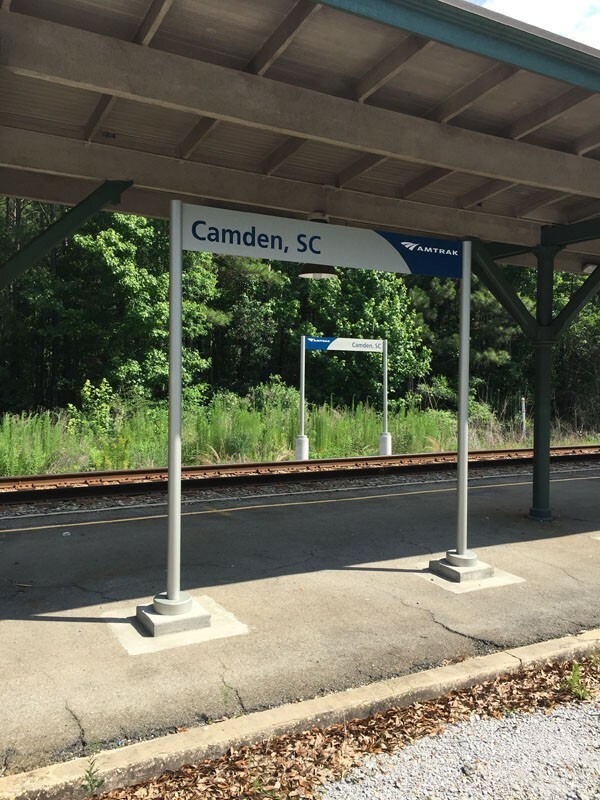 These are the Amtrak Station location markers that are installed both track and fields sides. This entry was posted in Commercial Signs, Completed Sign Projects by BSM Staff. Bookmark the permalink.